Youths with autism and intellectual and developmental disabilities (IDD) in Chemung, Schuyler, and Steuben counties will be able to receive care closer to home and more easily connect with local support organizations thanks to a new agreement between Corning Incorporated and UR Medicine’s Golisano Children’s Hospital. The agreement aims to improve access to specialized care for those impacted by intellectual and developmental disabilities, allowing hundreds of Southern Tier families to more efficiently use the medical resources at UR Medicine and within their home communities. The strategy will employ a three-pronged approach to provide services to children with IDD, coordinated through Golisano Children’s Hospital’s Division of Developmental and Behavioral Pediatrics, and paid for by Corning. Assessment: Focus groups and family interviews will help the UR Medicine team understand the strengths and needs of the region. Partnerships with community agencies and organizations will allow for the development of a network of resources, helping to better connect families with already-existing services. Navigation: A plan of care will be developed for each patient, and once needs are identified, families will be assisted in connecting with available services. Local resources will be prioritized, but families will also be connected with resources further away from home when necessary. Telemedicine: When appropriate, follow-up medical care or behavioral therapy programs will be available to patients and families in the comfort of their home or school. This not only saves families time by cutting out the commute to Rochester, but also provides a respite from other challenges that can accompany those trips; many youth with developmental disorders find travel to be especially difficult. For Corning, the program continues a mission to improve support services to not only for their employees, but the entire region. For UR Medicine, the relationship with Corning allows families in the region to have increased access to services in the region, and also continues a steady expansion of the health care organization’s telemedicine offerings, which have increased in size and scope over the past decade. 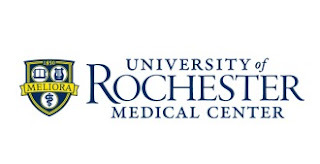 Golisano Children’s Hospital’s Pediatric Practice, for example, has provided telemedicine care to children in the Rochester City School District since 2001. That program, which started out with a few hundred visits a year, now exceeds several thousand and represents one of several regional initiatives that the children’s hospital is developing to serve the needs of children and families across central and western New York.